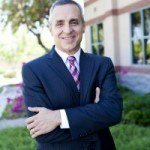 Home > Blog > New DOL Overtime Rules – Employers, Get Ready! Beginning December 1, 2016, many Americans will qualify for overtime pay under the new overtime rules adopted by the Department of Labor. The new overtime rules came after President Obama directed the Secretary of Labor to update the overtime regulations in 2014. The DOL issued a proposed rule in 2015 and received over 270,000 comments. The final rule was issued on May 18, 2016. The new DOL rules increase the minimum salary from $455 per week ($23,660 annually) to $923 per week ($47,476 annually). This means that many Americans who currently make more than $23,660 annually and qualify for the executive, administrative, or professional exemption under the Fair Labor Standards Act will no longer be considered exempt from overtime. Workers must still meet the duties tests to qualify for the executive, administrative, or professional exemptions. According to the DOL, over 4.2 million workers will receive overtime protection or receive a raise in salary above the new minimum. Employers can count non-discretionary bonuses and incentive payments towards 10% of the salary requirement, but at least 90% of the salary requirement must be paid on a salary basis. The new DOL rules also increased the minimum salary for highly compensated employees from $100,000 to $134,004. An employee who meets the salary requirement and meets the minimal duties requirement of the executive, administrative, or professional exemptions will be considered exempt. The DOL rules will now automatically update the minimum salary requirement every three years beginning on January 1, 2020. This will prevent the minimum salary threshold from becoming outdated because of lengthy lapses in updates. Many employers must decide how they will respond to the new overtime rules with their employees that were exempt under the old rules. Many employees will not be exempt from overtime because they do not earn the minimum salary required under the new rules. 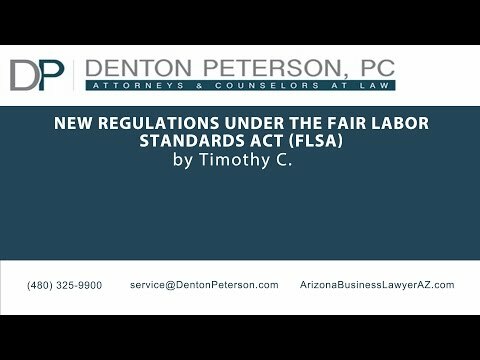 New Regulations Under the Fair Labor Standards Act (FLSA) | Denton Peterson, P.C. Employers may decide to raise these formerly exempt employees’ salary to meet the new threshold. Another option for employers is to limit employees’ hours to 40 hours per week and possibly hire additional employees to perform the additional work. Employers could leave employees and hours at the status quo and pay employees the overtime due under the new rules. Employers could also cut employees’ pay rate to account for the overtime pay required, and by careful calculation can end up paying employees about the same amount they were making under the old rules. There are several factors that will affect how employers respond, including the current salary of employees and the amount of overtime employees regularly work. It is important that employers evaluate how the new overtime rules will affect their business before these laws take effect on December 1. Employers will need to decide how they will track the hours of employees that were previously exempt in order to calculate overtime hours and the pay required under the new rules. Supporters of the new rules say that the increase in salary threshold will protect workers as the Fair Labor Standards Act was designed to do. On the other hand, critics of the new rules argue that the new rule will adversely impact small businesses, eliminate jobs, or result in workers being demoted. If you have questions about the new overtime rules and how they will affect your business, please contact the experienced employment attorneys at Denton Peterson, PC. Our attorneys can assist in evaluating which employees will be affected by the new rules and what you need to do in order to comply. Our employment attorneys can also help employees who may be entitled to additional pay for overtime hours. Please contact our office for more information.